Robinhood, an app that allows you to buy and sell stocks (among other things), has had a massive round of funding, and they are putting it to use. In fact, they are giving away shares of stock to all of their new users. The app itself is amazing, I use it personally and can honestly say it is perfect for small-time investors to buy a few shares of a company without paying the astronomical fees traditional brokerages charge. It gets better: not only will you get a free share of stock worth up to $200 on an amazing platform with zero fees, but you can also earn more by referring friends! It’s a win-win, and you could walk away with quite a few shares to play around with (or sell for cash and never touch the platform again want, too). Either way you want to go, here’s how you can take part in the Robinhood promo.. Your free stock should arrive within the same day, if not instantly (available on the app), but give it up to 2 days before contacting support. Also, just keep in mind that if you end up selling the stock you will not be able to withdraw the cash for 30 days. Note: If you sign up directly through their app, be sure to use to referral code: DUSTYNF – otherwise you will not get any free stocks! If you’re wondering exactly what companies stock you will be getting for free as part of this promotion, it depends. 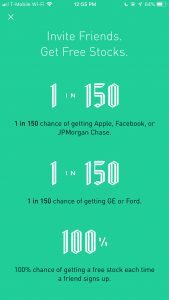 The shares Robinhood is giving away to new members come from their settled shares which may include shares of stock from companies like Apple, Staples, GE, or many other companies valued anywhere from approximately $2.50 all the way up to $200! How can you get a share of stock worth $200 though? 98% chance of getting a share of stock worth between $2.50 and $10. 1% chance of your stock bonus being valued between $10 and $50. 1% chance of your stock bonus being valued between $50 and $200. Will you get lucky? 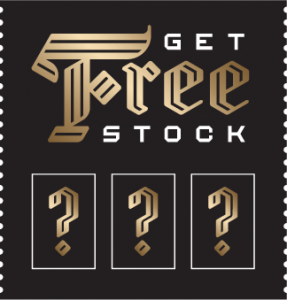 Try now by signing up and see what free stock you get! Even if you don’t win big when signing up, you still have another shot by referring people you know. 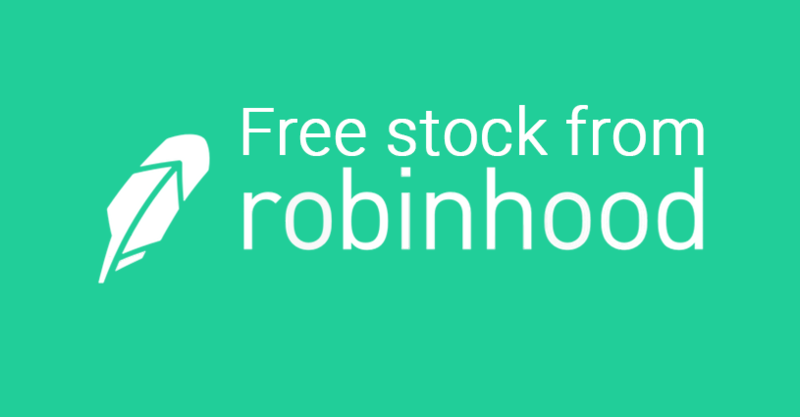 Keep reading to see how you can earn up to $500 worth of free stocks from Robinhood. In addition to the single free stock on Robinhood you get from signing up, you can earn up to $500 more of free stocks simply by referring your friends, family, and random people you hardly know on Facebook to the same exact Robinhood promotion. The Robinhood referral program is very generous, and should be taken full advantage of. All you do is send them your own Robinhood referral code and have them sign up, just like you did. You both will receive a free share at random, giving you more chances to get a high-valued stock like Apple, GE, or others. Just text, email, or share your referral code from Robinhood (which you will get once you sign up) to everyone and let them know about the offer – it’s too easy not to and it’s truly a win-win! Note: When someone signs up with your link, you will need to redeem the free stock that you got from it. Just check your apps notifications within 60 days to redeem it. Troubleshooting: Where’s my Free Stock? There have been a few incidences of people running into Robinhood’s free stock promo not working when signing up, or when referring someone. If you or someone you refer doesn’t receive their free share of stock, reach out to the support team at Robinhood with the referral link you signed up with and the username of the account holder having issues and they should fix the issue. The company is super trustworthy, been around for many years now, and I’ve yet to hear of an instance where they didn’t settle the issue honorably. Don’t miss this promotion, Robinhood is probably one of the only companies that is giving out free shares – and you never know when it might end. Even if you don’t know a lot about stocks, that’s the perfect reason to sign up while this free stock promotion is available and refer some friends, giving you some shares to play around with and learn from. That’s what I did! Click here to sign up and get your free share from Robinhood. Once you sign up, come back and comment what stock you got!